Having spent many years in Brooklyn, Coney Island is a familiar neighborhood for us. When it comes to crime, Brooklyn gets its share. According to NieghborhoodScout.com, Brooklyn is safer than only 38% of US cities. Still, the odds of becoming a victim are only 1 in 167. In New York City they are 1 in 246. For residents and businesses of Coney Island, installing security cameras can be a great way to keep you and your loved ones and customers safe from break-ins and intruders. What are the typical ways to use security cameras? There are numerous applications, but we find that most Coney Island homeowners and business owners use security cameras for a number of particular purposes. Popular uses are: As a deterrent to break-ins or burglary; to protect loved ones from intruders; to keep an eye on in-home care providers, household personnel and nannies. What are the leading security camera systems for Coney Island? We have done considerable research and testing on security equipment from cameras, remote access units to surveillance computers and recording instruments. They are Bosch, Samsung and Sony. These systems are generally the most dependable, are easy to use and have impressive options for consumers with limited funds, but who still want a good degree of top quality surveillance. These are the three brands M&D sets up the most. Should you currently have another brand, we can support or update it for better performance. Check with us first. These are the most common devices and our best sellers. They incorporate several features and give you the ability to keep an eye on things from your laptop or computer. You could even monitor your home or business from anywhere if you have a computer or other hand held device with internet connection. Delivering a greater surveillance area, dome cameras have become very popular with their smooth structure and plentiful attributes. These are the units you see in Atlantic City casinos. The shape helps make it an attractive selection for those wanting a maximum view without the protruding arm of various other cameras. A cheaper alternative, fake camera devices provide the look of security without the cost. The purpose is that would-be thieves will see the camera and move on. Dome camera housing is frequently used for imitation cameras. These devices are normally used by individuals who can’t afford a real surveillance system, yet still need a deterrent for would-be trespassers. They often come with pulsating lights and are indistinguishable from actual cameras. Manufactured to be tough, outdoor security cameras are usually housed in a case that will help them endure the harsh East Coast weather conditions. The lenses are often made from fog resistant glass so moisture doesn’t block out the view. Typically, they are aimed in one direction and possess limited range. A few of the more expensive cameras can rotate their direction, but the majority of cameras are motionless and need to be moved by hand to change camera angles. With infrared technology, night vision systems makes it possible for one to monitor an area even if it is completely obscured by darkness. These types of models can be used in both day and night, enabling more continuous surveillance. Wireless security and remote access units are very popular among our Coney Island clients. These units are excellent choices to avoid long cables, drilling and damage to your house. Some consumers ask us about spy cameras. We’ve installed a few throughout the area. We generally recommend that your cameras be exposed to everyone, however. It’s generally better to prevent break-ins and unwanted entry whenever you can. Motion detectors can be set up together with your burglar alarm and security system. Cameras are triggered whenever the sensing unit registers movement. The recording starts any time motion is detected. Speak with your security professional to determine which settings are best for your needs. How hard is it to control security cameras? They have become much simpler over the last few years – even with their sophisticated characteristics. If M&D sets up it for you, we’ll teach you how it all works until you are completely satisfied and comfortable with your system’s functions and features. Where are the best places to install my cameras? It would be irresponsible for us to give tips about where to place your security units with no knowledge of the precise area you would like to view. Quite often, we come across projects where residents have bought their security cameras at Walmart or Target to try and save money, but more often than not, this equipment is not set up properly and does not function the way they are meant to. These outlets also offer discounted security products, which are very limited in the scope of their effectiveness. Bargain security systems normally are not sufficient to protect your home or business in Coney Island in our opinion. Use a professional installation specialist. We’ll help you prevent costly problems down the road. How good are surveillance solutions? Just how well will they work? The office of Homeland Security asserts that security camera systems have been proven to be extremely effective, but only if installed correctly and used effectively. The biggest problem with ineffective units is faulty installation and incorrect use. That’s why your security cameras need to be installed by an expert. Thieves can usually recognize a system that was not installed correctly. What to Consider When Installing a System? Once again, choose a skilled installation professional. Your family and property are too precious to do this yourself. Call M&D at (718) 484-4050. We have got many years of experience not just in security systems, but in your community as well. We’ll be sure to install one of the top three models; Bosch, Samsung or Sony. Your new camera system will be thoroughly tested and functional as soon as installation is done. You’ll have to decide on color or black and white. Substantial savings may be involved, but there could be some other things to consider as well. If an area has extremes such as a lot of light or dim light, it’s advisable to use black and white because it will be much easier to pick up weak images. When the area to be observed is indoors, you can think about color, but it may not be necessary. Have an understanding of resolution. The greater the resolution, the sharper the image. Low-level camera resolution is usually around 330. Expect 400 for higher resolution products. It’s extremely important to ensure your products work together. We really do not recommend mixing brands. This often seems to result in compatibility issues. What should you expect to pay for a system set up in Coney Island? The price of your new system can certainly determine the degree of security you need. In order to answer this question, we will need to ask you a number of questions as well: What exactly are your security goals? How many rooms do you wish to keep an eye on? What is the square footage of each area to be monitored? Is this for indoor or outdoor security? How sophisticated do you want your new security camera system? Is this for a home or business? And how frequently will you be running your cameras? Don’t worry if you don’t know the answers. Call us at (718) 484-4050 and we’ll take you step-by-step through the whole process. This post addresses several of the key components of finding a security camera solution. The tips here are by no means complete so make sure you call us at (718) 484-4050 in case you have more questions or would like to talk with a security camera installation professional. M&D Locks and Keys is a local Brooklyn neighborhood partner and we know Coney Island. Be sure you check our 5-star testimonials in Google, Yelp and other customer review directories to be sure you are getting the best security camera specialists in Brooklyn. Don’t risk the protection of your property to any company, but the best. Build a great wall of protection around your home. Give us a call today. We’d want to thank all the Coney Island and Brooklyn customers who have used our solutions in the past and who have been so nice to recommend us to their family and friends time and time again. 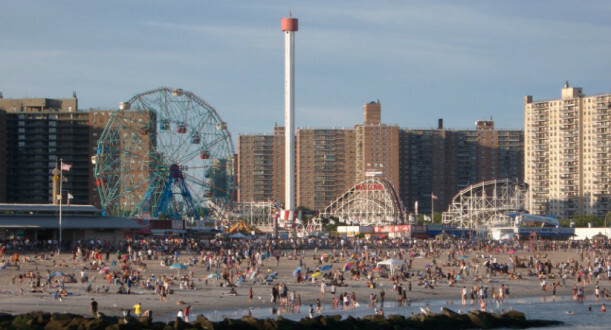 M&D Locks and Keys knows Coney Island as well as any Brooklyn locksmith and will help you with all your home security. Call us at (718) 484-4050.